Join us as we welcome Victoria Benner to our salon floor! Yay! 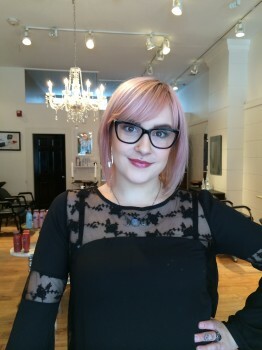 We are super-excited to welcome Victoria to our salon floor/team! Read her bio below! Victoria is the latest addition to our team at La La Luxe. She is highly skilled and deeply passionate about all areas of the beauty industry from styling to coloring and beyond. When she’s not creating gorgeous color, hand-painting highlights or crafting the perfect haircut of any length and size, you can find Victoria flipping through the pages of Italian Vogue and WWD while listening to her favorite music. She finds inspiration from everything in life but truly feels as though it is her clients that really bring out the genuine artist in her. Get the best haircut of your life and convert to her unique approach to beauty. Your hair will thank you! Victoria will be taking appointments on a part-time basis. Call the salon to make an appointment! https://lalaluxesalon.com/wp-content/uploads/2016/09/logoNEW-1-300x144.png 0 0 lalaluxe https://lalaluxesalon.com/wp-content/uploads/2016/09/logoNEW-1-300x144.png lalaluxe2015-02-10 18:05:022015-02-10 18:05:02Join us as we welcome Victoria Benner to our salon floor! Yay!